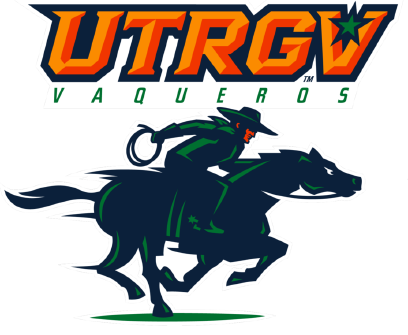 BAKERSFIELD, Calif. — The UTRGV women’s basketball shot just 18.5 percent from the field and did not connect on a 3-pointer, losing in a 71-30 rout against CSU Bakersfield on Saturday at the Icardo Center. UTRGV (11-13, 1-8 WAC) finished the game 0 for 20 from beyond the arc. The team had made at least one 3-pointer in every game since Dec. 4, 2011 — a streak of 202 games. That night, UTRGV went 0 for 7 from beyond the arc in a 65-27 loss to Nebraska. UTRGV’s 18.5 percent (10 of 54) shooting is the lowest since the team shot 15.8 percent against Syracuse in a 91-32 loss on Jan. 1, 2016. Junior Jameka Dowell led UTRGV with 10 points and five rebounds. Junior Megan Johnson scored seven points with six rebounds. Aja Williams led CSU Bakersfield (14-10, 8-2 WAC) with 16 points. Vanessa Austin scored 12 points with six rebounds. CSU Bakersfield went 8 for 10 from the field, including 4 for 6 from behind the arc, to build a 21-4 lead at the end of the first quarter. CSU Bakersfield took its largest lead of the half at 37-6 in the final minute of the second quarter. Dowell hit three free throws and junior Nichele Hyman made a layup to bring UTRGV within 37-11 early in the third, but that’s as close as UTRGV got.